Championship boxers aim to finish fights by throwing a knockout punch. Great speakers do the same thing with their conclusions, using powerful language in place of right hooks. 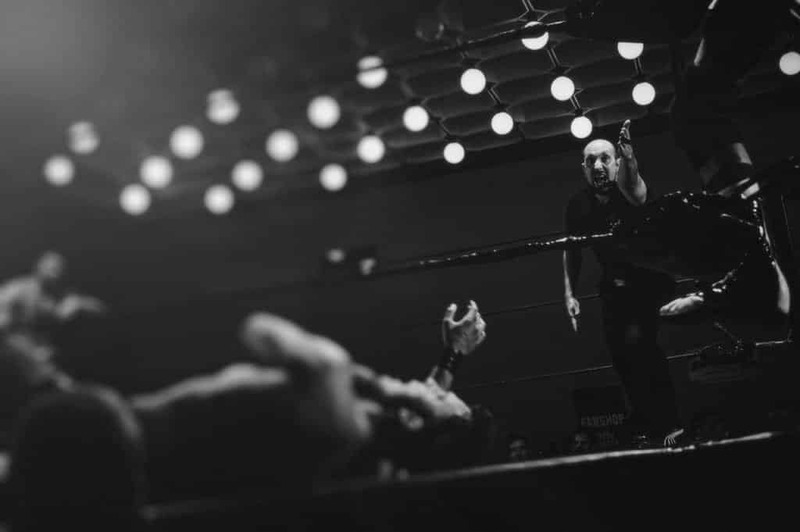 Using a verbal knockout to end your speech gives maximum longevity and impact to your message. The most important part of your speech is the start. Your audience will continue to pay attention based on your opening lines. Your final words are the second most important part of a speech. This is because those words ring in the ears long after you have stopped talking. Psychologists call this the recency effect. That’s why we encourage our clients to practice the first and last minutes of their speeches more than any other part. What’s the reason for your speech? Do you want to educate, inform or entertain? Do you want your audience to take action? How do you want them to feel? Your speech should take your audience from their current position to your desired position. Without a strong conclusion, it becomes a bridge that doesn’t quite reach the opposite shore. Many amateur speakers run out of time, sound apologetic or come to an abrupt finish. These unsatisfying conclusions are like sentences that just… trail off. – Right, well I’m out of time so I’ll stop there. – That’s all I have, so… any questions? These closing lines lose the energy built in the rest of the speech. So what’s the best way to end your speech, and signal to your audience that you’ve finished? Refer to an anecdote, quote or case study from the start of your speech. Reiterate the message you want people to remember. If you can, expand on the anecdote. Re-conceptualise the quote. Or provide a follow-up result from your case study. This will feel even more satisfying for your audience. How to do it: Watch Simon Sinek finish his speech by bringing his message full circle (15:10). Repeat a keyword or phrase throughout your speech to help make your message memorable. Then drive this message home during your closing statement. For example, you could repeat it three times in quick succession. How to do it: Watch Amy Cuddy use repetition to wrap up her speech on body language (19:34). Set a challenge for your audience. This gives them a call to action directly related to the content of your speech. What are the benefits to your audience of taking this action, or making that change? Finish with a vision of how things will be. This will help to motivate your audience into action. How to do it: See how Josette Sheeran finishes her speech by giving the audience a challenge (17:48). How to do it: Learn from Ken Robinson’s use of a quote to finish his speech on creativity in schools (18:00). Is your speech part of a wider event, such as a conference or Town Hall event? Link your closing lines to the umbrella theme of the event. This will help put your words in context and clarify why your speech is relevant right now. Should you summarise your speech? Summaries are only necessary in longer speeches. They should be high level and limited to the headlines of the content you’ve covered. Summaries are not the same as conclusions. Think of your summary as a series of quick jabs before you deliver the right hook of your conclusion. What’s the right ending for your audience and your message? We can help you find the words that will hit the spot. We work on all aspects of your speech, including your structure, message and delivery. We’ll ensure you communicate clearly, confidently and with impact. Call Louise on 020 7193 0130 or email louise@nullbenjaminball.com to find out more.